A new state law banning all drivers from reading, writing or sending text messages goes into effect today. With the law, Kansas joins 27 other states in banning a practice that the U.S. Department of Transportation calls alarmin and which experts say makes serious crashes four times more likely to occur. Under the law, state and local law enforcement officers can issue warnings to drivers for the first six months the law is in effect. 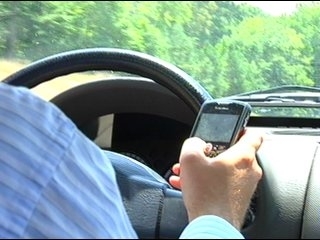 Beginning Jan. 1, 2011, drivers caught texting will be subject to fines.